At Totem Roofing, management and staff strive to make your re-roofing experience a positive one. Our written estimates cover not only expected cost, but also a list of unforeseen costs, such as roof deck deterioration, ventilation, and duct work. Also we have a section that is dedicated to system upgrades, that may be add to the basic roofing system estimate. All staff members are fully experienced in all aspects of roofing industry. We are members of the Roofing Contractors Association Of British Columbia. Canadian Roofing Contractors Association Of Canada. These association are on the cutting edge of roofing technology and offer courses to member companies to insure the highest quality roofing system. Your home is most important investment. You can trust the experience and professionalism of Totem Roofing to ensure your roof is installed properly using only the finest quality materials and workmanship. 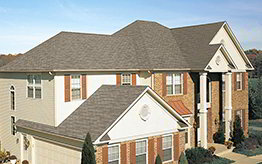 Totem Roofing & Insulation multi-family residential division provides quality workmanship, superior materials to ensure your multi-family residential roofing project is completed on time and on budget. Our maintenance division provides quality workmanship to all your maintenance needs. Emergency repairs done on a timely manner at a reasonable cost to single family housing. Very few roofing companies can offer concrete roof repairs. Totem Roofing has the expertise and experience to provide all maintenance and installation services for concrete roofs. 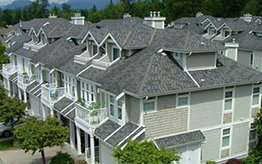 Totem Roofing & Insulation Ltd. is one of BC’s oldest and most reliable roofing organizations. We serve all areas of the lower mainland. Totem Roofing Has been a Family Business for the past 64 years. The name has never been sold, not like other companies that buy a name. Staff and Management upgrade their skills, so that they are knowledgeable about any B.C. Building code, and Worksafe B.C. changes. Totem Roofing carries 5 million liability insurance, Full Work Safe B.C. coverage and certification from the B.C. Construction Safety Alliance. I, Jeff Reddeman, personally take responsibility for all work performed by Totem Roofing, as I have done for the past 36 years. Roof looks good. Thanks for having the guy work on the weekend, got it done before weather changed, both my wife and I thought your crew was very professional. It was a surprised when I was getting quotes two out of the four companies I got quotes from where not WCB. compliant, and none of them had liability insurance. Thank you for the service I received when I was getting my roof done. I was very worried about this project, my friend had a very bad experience with another roofing company, but my experience with Totem Roofing was very good. Crew was polite and professional. The metal work that was done to keep out vermin from getting into my attic will work as per Jeff's design. I just wanted to express my thanks for a great job that your company carried out at my house. The new roof looks good and your pricing was very competitive. The work was carried out in a very professional manner in a short space of time. I would fully recommend your company to anyone who is thinking of replacing their roof. I am very pleased with this company and would recommend you to my friends and family. The roof looks great. The price was right and it was completed in 2 days. Thank you Jeff for all your Services! A job well Done! I was impressed with the professionalism and friendly manner of the whole team. 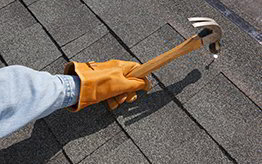 "Recently we had to re-roof our home. Totem Roofing provided a professional and comprehensive quote for this service, but also they provided separate quotes for deficiencies observed on their inspection. Totem provided up to date insurance and Work Safe compliance documents with their quote and samples of product choices were delivered to our home, all in a timely manner. The work was completed quickly by experienced workers with a minimum of disruption. Totem went the extra mile to provide a gutter channel and re-connect and secure our down pipes at no extra cost to complete their service." Thank you Totem Roofing for a job well done! I would like you to do the flashing as quoted. Your tradesmen and Les have impressed me by their attitude on the job and the way they have persevered to overcome difficulties. I would like them to have the opportunity to complete the flashing as an essential part of a complete job. Well, the crew that came and went did just a great job on my mum's house in Port Coquitlam. I am very pleased (and she is as well) with the way the roof looks and the effort that each of the roofers put into their job. Please pass on our thanks. Jeff, the crew leader was a complete professional in every way, and the follow-up with Les was more than satisfactory. He told me that he would be in tomorrow to finish off a small job on the roof, and then everything would be finished. We also appreciate the extra two downpipes that were put on the back of the house from the gutter along the second floor roof. That certainly will keep the water from having any extra contact with the shingles, and, although it was quite a bit of extra work for your guys, the replacement of the wood around the front skylight completely put our minds at rest about the possibility of any future leaking there. I know that mum now has a safe, dry roof over her head. Thanks again for your professionalism and courtesy to my mum. Our whole family appreciates it and we will recommend your company to anyone we meet who mentions that they need a new roof. Jeff, Thank you for the excellent new roof. My wife and I have a lot of confidence in your work. We also want you to know that your roofers exhibited a very high degree of professional skill and politeness. They did a great job. Because of this we are confident we´ll see another 23 years of life on our new roof. 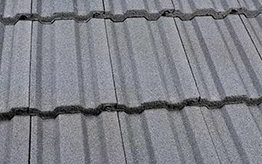 Roofing and ventilation specialists in Tri-cities Coquitlam, Port Coquitlam, Port Moody, Maple Ridge, Pitt Meadows, and also we cover the whole lower-mainland.